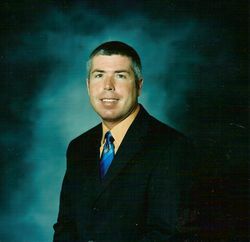 Steven Paul Carter, is Owner of Dilday - Carter Funeral Home Inc., Carroll Memorial Gardens & Mausoleum Inc. , Northwest Tennessee Crematory and Carter's Pet Garden & Crematory. He is a life-long resident of Huntingdon, a 1989 Graduate of Huntingdon High School and a 1991 graduate of John A. Gupton College. He joined the staff of Dilday Funeral Home in 1992, under the direction of his father, Danny Carter, former President of Dilday Funeral Home until his death. Steve is actively involved in the community and civic committees; Steve is a past member of the State of Tennessee Advisory Board and Past President of the Cemetery Association of Tennessee, the Huntingdon Lions Club, where he has served as President and the Huntingdon Planning Commission. Sarah-Ashley C. Medling is a licensed funeral director and embalmer. She is from Dyer, Tennessee and now lives in Medina, Tennessee. She was a 2009 graduate of Gibson County High School and a 2013 graduate of John A. Gupton College. Sarah-Ashley joined the staff of Dilday-Carter Funeral Home in October 2018.